The entire Detroit Public School system was shut down on Friday May 3, not just 24 schools, according to later reports. DONATE TO VOICE OF DETROIT PLEASE! IN DESPERATE NEED OF FUNDS! CLICK ON https://www.gofundme.com/VOD-readers-up. THANK YOU!! 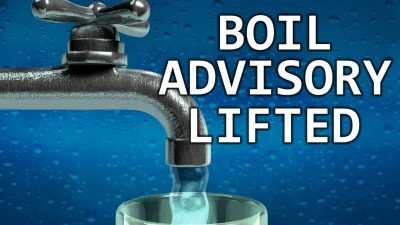 DETROIT – The regional Great Lakes Water Authority (GLWA) lifted a “boil water advisory” for a vast swath of Detroit from McNichols south to the riverfront and Linwood east to Conner, as well as the cities of Highland Park and Hamtramck Fri. March 3. The Michigan Department of Environmental Quality (MDEQ) gave their blessings. Shades of Flint, where three boil water advisories were lifted before nearly 100,000 residents discovered that they had been severely poisoned beginning in 2014, by lead and other contaminants in their water, with dire life-long consequences. The GLWA did not specify WHO performed the tests in question on the water in Detroit, Highland Park, and Hamtramck. It released no actual test results. Their staff at treatment plants like Water Works Park, where water pressure dropped for two hours Feb. 28, allowing possible bacterial contamination, is made up of “operators,” not chemists or other qualified experts. DWSD Director Gary Brown was present, but offered no commentary himself. He spent part of the meeting laughing in asides with a GLWA director next to him. He allegedly had not known of the boil water alert until that morning. McCormick said the formal monthly meeting of the GLWA Board will take place at a date and time “to be determined” (TBD). Prior to the formation of the GLWA, McCormick, who previously headed the DWSD for a brief period, boasted that she had eliminated 41 percent of the staff in that department. Detroit’s Wastewater Treatment Plant is now run by the Toronto-based EMA, which has eliminated nearly all the experienced DWSD staff there, including chemists and engineers. 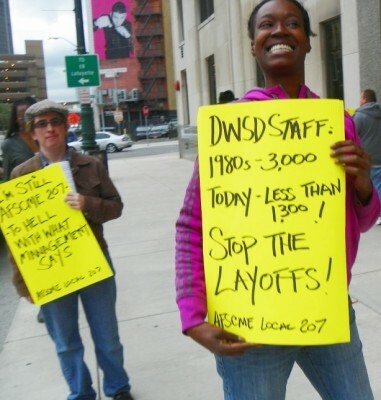 EMA recommended earlier that DWSD lay off 81 percent of its workforce. Simiolaunias said he will be giving a presentation at the International Association for Great Lakes Research 60th annual conference, to be held in Detroit from May 15 through 19, 2017. See http://iaglr.org/iaglr2017/ . During the meeting, Carolyn Doherty, a nurse from Royal Oak, commented on the “poor condition” of water provided by the GLWA. Representatives from other suburbs similarly complained about water rates and condition. McCormick did not give an updated report on what is happening with water shut-offs in Detroit, as she used to in her executive reports for the DWSD. But the DWSD website for Feb. 15, 2017 showed the figures to the right on various such issues. 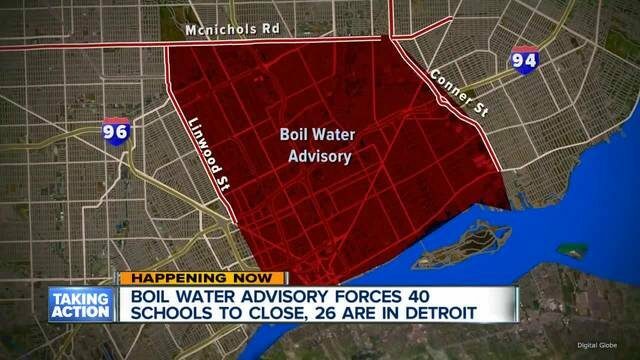 The Feb. 28 “boil water alert” was not the first emergency for the GLWA for Detroit since its formation in 2015 although it was by far the most extensive in DWSD history. In a press conference, GLWA officials said the problem was due to the twice-yearly clean-up of catch basins at the Southwest Water Treatment Facility, which stirred up sediment. “Great Lakes Now” (GLN) said McCormick called the problem an “aesthetics issue” caused by turbidity, or cloudiness or haziness in water. 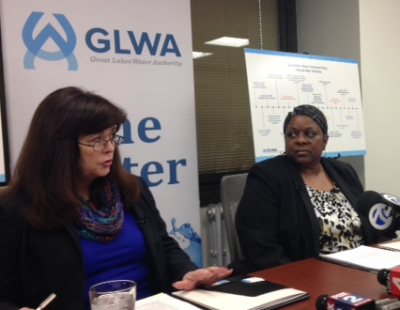 GLWA CEO McCormick and COO Porter at January press conference on downriver water complaints. “We don’t want taste, odor or color in our drinking water but they are not a health issue,” McCormick said according to GLN. She said all test results performed by GLWA met EPA standards. “The water has been safe to drink one hundred percent of the time,” she claimed. 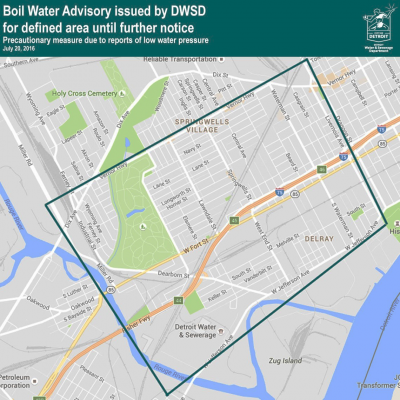 In July, 2016, another boil water alert was issued for Detroit’s southwest side. Issues involved there have not yet been resolved. 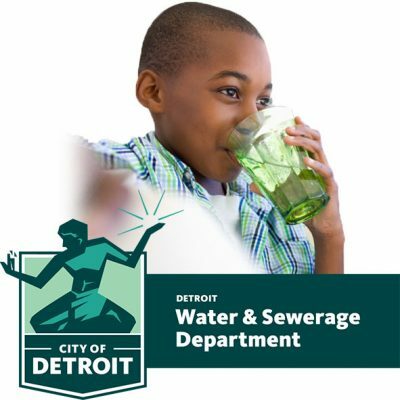 July, 2016 Boil Water Alert on Detroit’s southwest side. 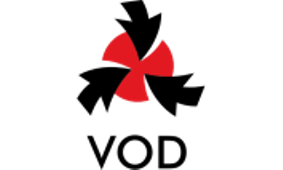 As part of her February CEO report, McCormick described the progress of the replacement of the 42-inch main with a 30-inch main. After storms in July and August, 2016, sewer back-ups contaminated the basements of homes in the Jefferson-Chalmers and Cornerstone Village neighborhoods on Detroit’s east side, causing an outcry from residents there. DWSD boasted that it took “historically unprecedented steps to ensure homes in the area impacted by recent storm activity are professionally cleaned and sanitized.” That region is one of those slated for ongoing gentrification efforts, unlike the southwest side, which got no such professional clean-up and sanitation efforts. Yesterday, DWSD Director Brown announced that the city would pay more than $11 million in claims from homeowners affected by the flooding. 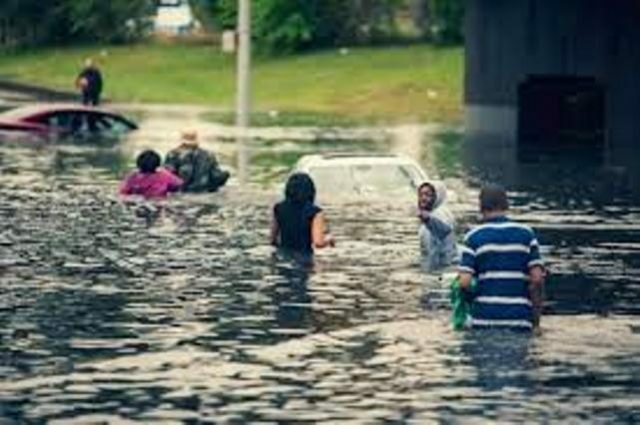 Later, on Sept. 29, 2016, flash flooding affected freeways, streets and building basements across Metropolitan Detroit, including the Lodge Freeway underneath Cobo Hall. Gushing water and sewage backups were part of the scenario. Flash flooding recently affected Detroit’s southeastern suburbs as well. The DWSD said the flooding on the Lodge in Sept. 2016 was the responsibility of the Michigan Department of Transportation. It blamed street flooding on clogged sewer catch basins. However, retired Wastewater Treatment Plant (WWTP) workers blamed the similar although more massive metro Detroit floods of August, 2014 on EMA’s elimination of workers at the WWTP, putting an end to 24/7 supervision of sewage pumps there. They said three of the major pumps there were down, causing sewage-filled flooding when the area experienced heavy storms. The GLWA had not been constituted yet but was in the wings. In preparation, under the direction of U.S. District Judge Sean Cox, massive lay-offs were already occurring in the Detroit Water and Sewerage Department. Massive metro Detroit flooding in Aug. 2014. 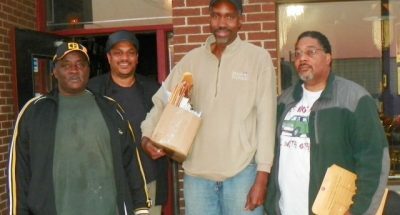 VOD reporter and long-time community activist Cornell Squires, who passed Nov. 19, 2016, is shown second from left behind laid-off DWSD workers Sammy Barber. Edward Collins, and Dean Fox. The workers, Edward Collins, Jr., Dean E. Fox Sr., and Sammy Barber showed lay-off notices with “elimination of job title,” not “lack of work,” listed as the reason for termination, or no reason at all. Their layoffs were part of hundreds McCormick had just enacted, ignoring seniority and with it, levels of experience. They referred VOD to one Wastewater Treatment Plant worker still on the job, in the four-floor facility, who VOD did not identify by name to protect his job. AFSCME Local 207 protest against lay-offs Oct. 13, 2015. 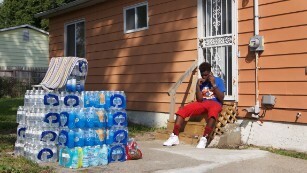 The lead poisoning of the entire city of Flint, a cold-blooded act of domestic terrorism against another majority-Black city, first revealed the consequences of a decades-long drive by out-state forces to dismantle DWSD. Flint’s nearly 100,000 residents and their children will suffer dire lifetime physical and mental health consequences. Flint residents have now been using bottled or filtered water for 3 years, with no end in sight until at least Aug. 2019, according to Mayor Karen Weaver. Flint Mayor Karen Weaver recently announced that Flint will not be able to begin processing its own water from Lake Huron through the Karegnondi Water Authority’s new pipeline until at least August, 2019. Meanwhile, the city government is still recommending that Flint residents used bottled or filtered water, not the water currently coming from the Great Lakes Water Authority. The most shocking thing about Weaver’s announcement is that Flint should never have had to treat its own water in the first place. Since 1967, it received its water from DWSD, water that had been treated well enough to keep lead contamination below state and federally-approved levels. The city’s water treatment plant existed only to provide a two-week emergency back-up supply. The push to get out of the DWSD system, allegedly to get customer costs lowered, was motivated by pure political and corporate greed. Genesee County Drain Commissioner Jeff Wright and his campaign contributors initiated a project to build a pipeline from Lake Huron that duplicated DWSD’s water supply pipeline, in 2012. The pipeline, built and run by the Karegnondi Water Authority, was supposed to be up and running by 2015, but has not yet gone into operation. Jeff Wright, now CEO of the Karegnondi Water Authority, whose creation led to the poisoning of the people of Flint for profit. What Wright and his contractor cronies did not advertise was the fact that Karegnondi never had any plans to treat water from Lake Huron, leaving it up to individual communities that bought into the system to provide their own treatment facilities at greater cost to their residents. The Flint water crisis was not a result of using Flint River water as opposed to Lake Huron water. DWSD was already supplying water from Lake Huron to Flint and the surrounding area. 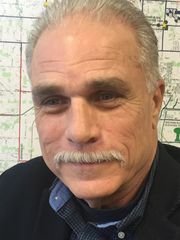 VOD previously quoted DWSD spokesman Bill Johnson regarding a state-commissioned study that showed DWSD remained the cheapest and most effective way for Flint residents to get clean water. 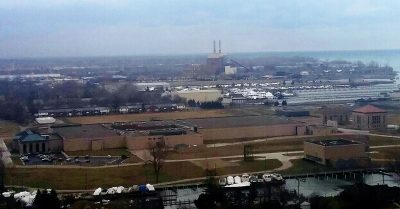 See VOD story at http://voiceofdetroit.net/2016/02/15/bi-partisan-deal-led-to-flint-water-poisoning-for-profit-the-karegnondi-water-authority-kwa/. 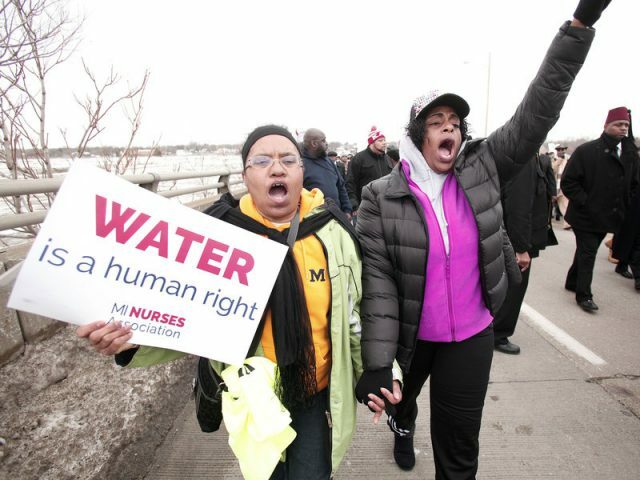 In forming the regional GLWA under the Detroit bankruptcy declaration, Wall Street greed has thus devastated the previously world-class Detroit Water & Sewerage Department (DWSD) and the people it served, 40 percent of Michigan’s population. That utility, built and owned by the people of Detroit, had provided clean water at reasonable rates since its founding in 1836. Eventually, it included seven counties and 126 municipalities. It was the third largest such department in the U.S. Its Wastewater Treatment Plant was the largest in the world. DWSD was the crown jewel of the assets belonging to the people of the nation’s largest Black-majority city. Now, under the GLWA, it presents a constant threat to the health and well-being of its customers. “The people have a right to expect aggressive action by the City’s officers in seeking to advance, conserve, maintain and protect the integrity of the human, physical and natural resources of this city from encroachment and/or dismantlement. 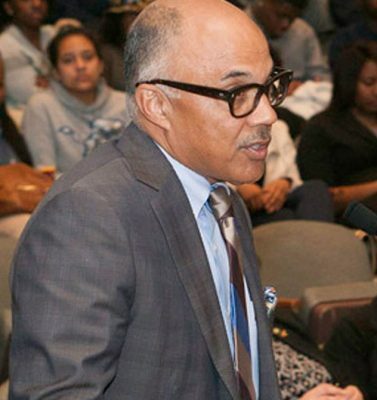 “The people have a right to expect city government to provide for its residents, decent housing; job opportunities; reliable, convenient and comfortable transportation; recreational facilities and activities; cultural enrichment, including libraries and art and historical museums; clean air and waterways, safe drinking water and a sanitary, environmentally sound city. It also mandates a vote of the majority of Detroit’s residents prior to selling or leasing either the Detroit Water and Sewerage Department or the Department of Transportation, or any of their constituent parts. That Charter is still in effect, despite denials by Detroit’s former Emergency Manager Kevyn Orr and his boss, Michigan Gov. Rick Snyder. The GLWA has not provided “clean air and waterways, safe drinking water and a sanitary, environmentally sound city,” as mandated by the people of Detroit, who voted on this Charter in 2012. It is time for Detroit to revisit the terms of its contract with the GLWA and revoke it by any means necessary. Also, visit our new Facebook page, https://www.facebook.com/voiceofdetroit.net/where all new stories are linked to publicize them. It’s a convenient way to access Voice of Detroit. The linked stories will take you to our actual website. Please be sure to hit the home page for each story posted on Facebook to see the full range of recent articles, and click on those that interest you. This entry was posted in Uncategorized and tagged Beatbackthebullies, Bonddebt, Detroit2Flint, DETROITWATER, DWSD, GLWA, Layoffs, OurWaterOurVote, Right2Water, WATERISLIFE, Watershutoffs. Bookmark the permalink. This water department is a joke. Hiring people that can’t do math, and don’t give a crap about doing there job but just collecting a check. One step from welfare people. They all need to be tested to see if they are qualified, fired if they don’t pass,and add new employees that want to work. Then you will have better water with less problems.